Heat oven to 375°F. Remove dough from can; do not unroll. 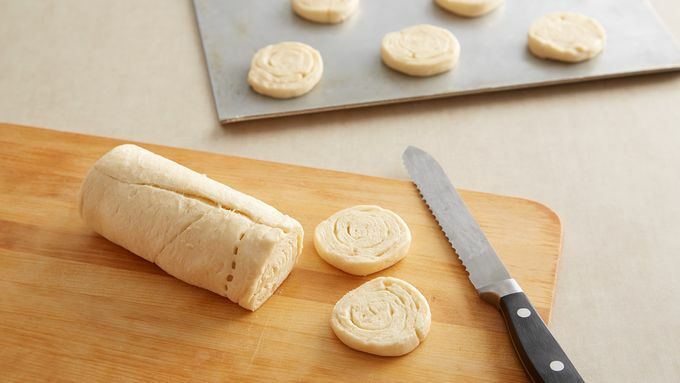 Using serrated knife, cut dough into 20 rounds. Place on ungreased cookie sheet. Bake 9 to 12 minutes or until golden brown. Cool 10 minutes. 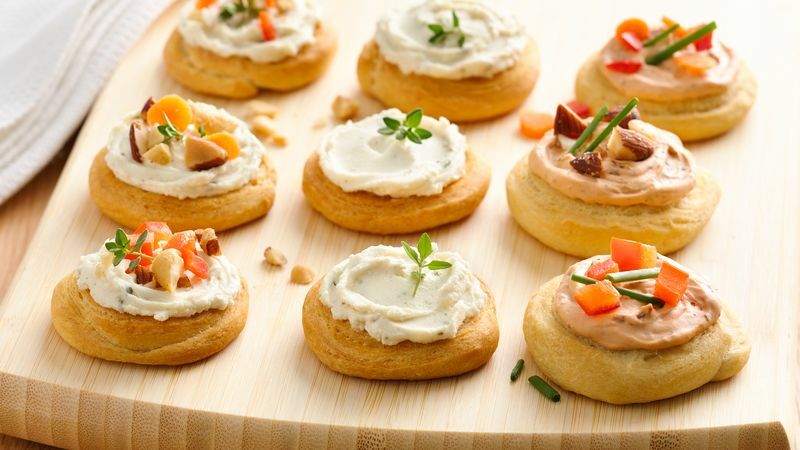 Spread 1 1/2 teaspoons spreadable cheese on each round. Top with herbs. Make it your own! 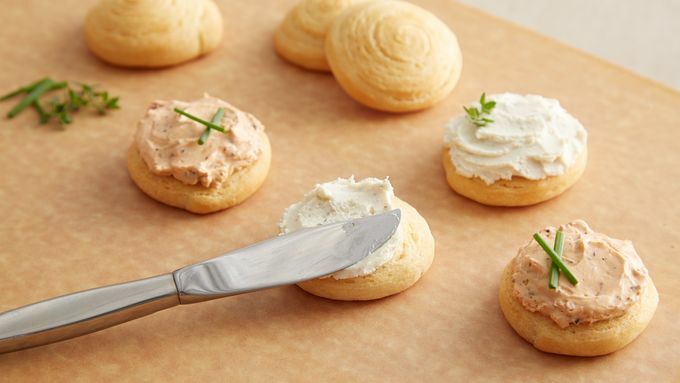 Whipped cream cheese and sea salt sub nicely for the cheese spread. And chopped bell peppers or seeded tomato, thinly sliced small carrots, sliced olives or toasted nuts all make great toppers for this easy app. Bites can be baked up to 4 hours ahead without topping.